Rock and blues one-to-one guitar tuition, plus access to exclusive online tools and content, from only £15 per lesson. Lesson prices start at just at £15 for 30 minutes, or £30 for one hour. Book today and get a free consultation lesson! To get started, please get in touch to arrange your initial consultation with your tutor. Once you have signed up, you will be able to control your own lesson schedule via the online booking system. Following your initial consultation with your tutor, you will participate in either the beginner, intermediate or advanced programmes. One-to-one lessons are supported by an accompanying e-learning system, which allows you to access all of your lesson content from an internet connected device. This includes video, mp3 and text-based lessons, as well as access to useful tools and extra online content. 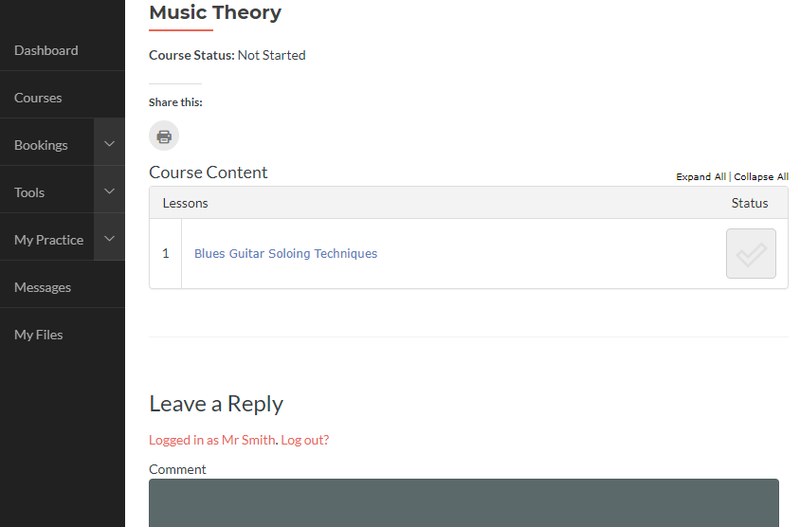 You can also communicate with your tutor using the online messaging system for additional help between lessons. 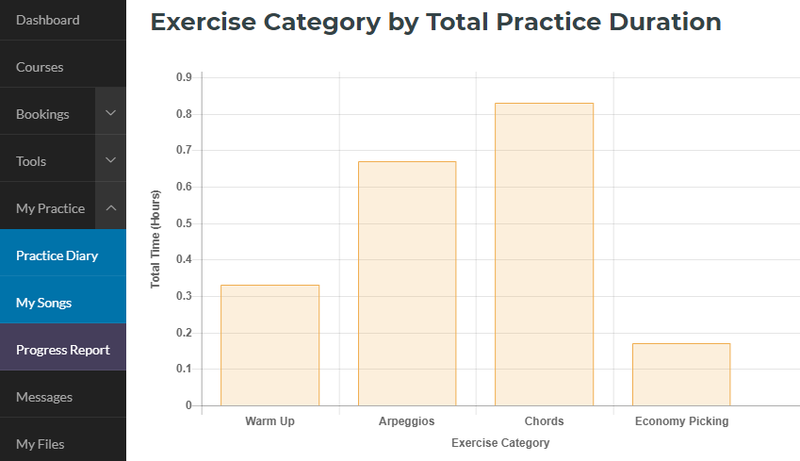 Online learning is a great way to ensure you are practicing all of the correct material and to review the techniques discussed with your tutor, and is especially useful for parents who want to get involved in their children’s music education. 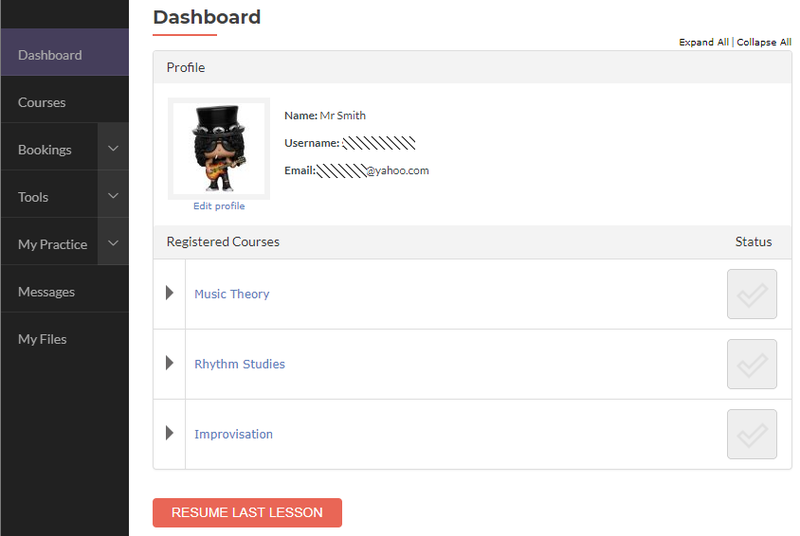 Student Dashboard - access your courses, tools, messages and resume your last lesson. Course Overview - general overview of your course and lesson schedule. Lesson view - breakdown of lesson by topic. 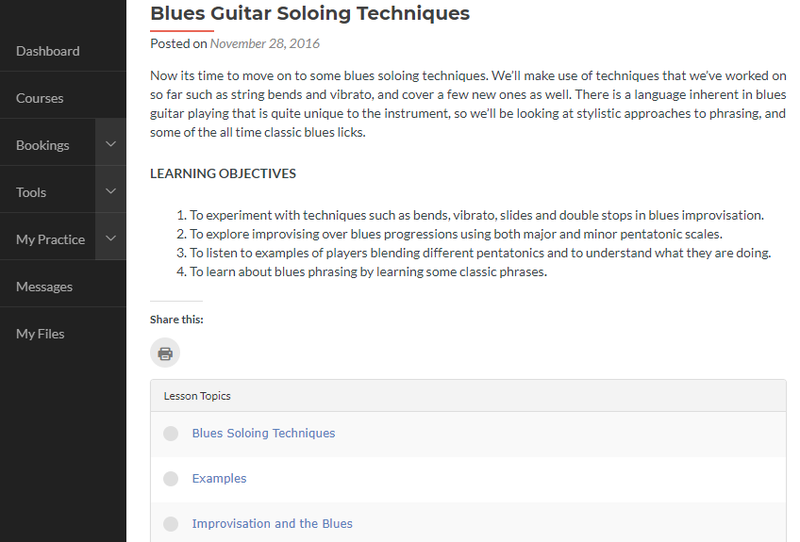 Topic view - covers the individual areas of study for each lesson. 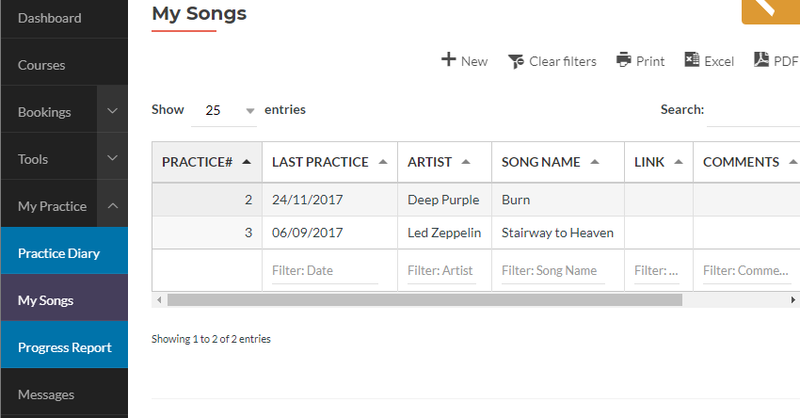 My Songs Diary - keep track of the songs you are currently learning. 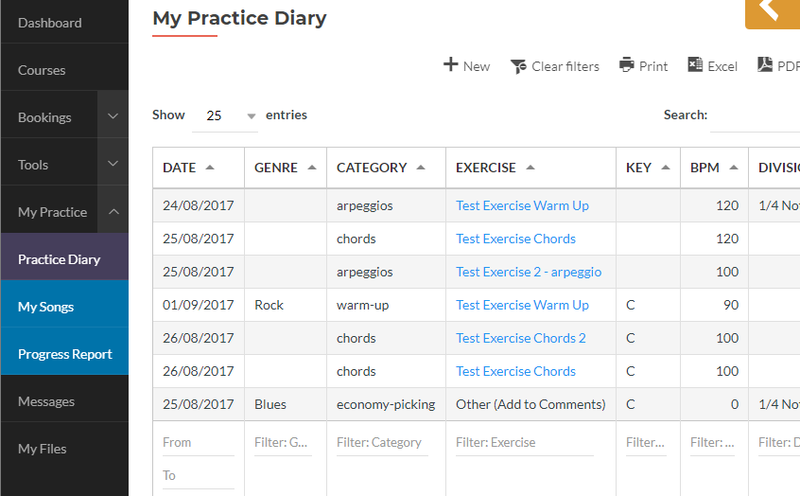 Practice Diary - take notes on your current areas of practice. 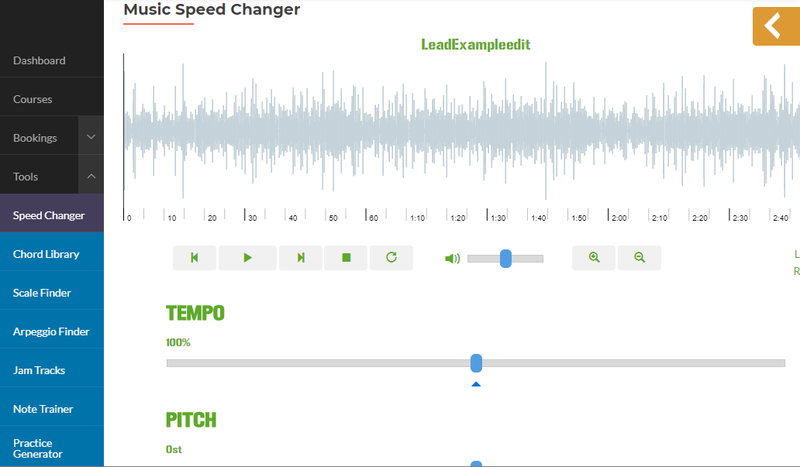 Music Speed Changer Tool - load an mp3 and slow it down/change the pitch to learn by ear. 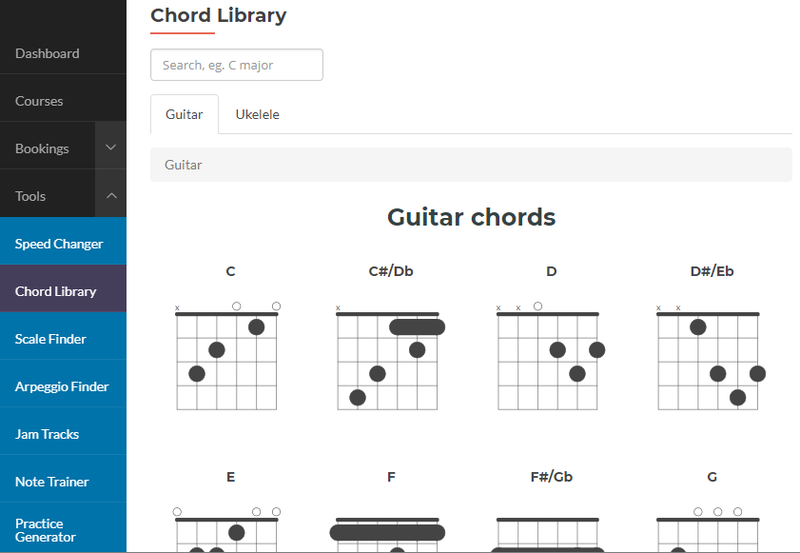 Chord Library - full library of the most common chords with multiple variations. 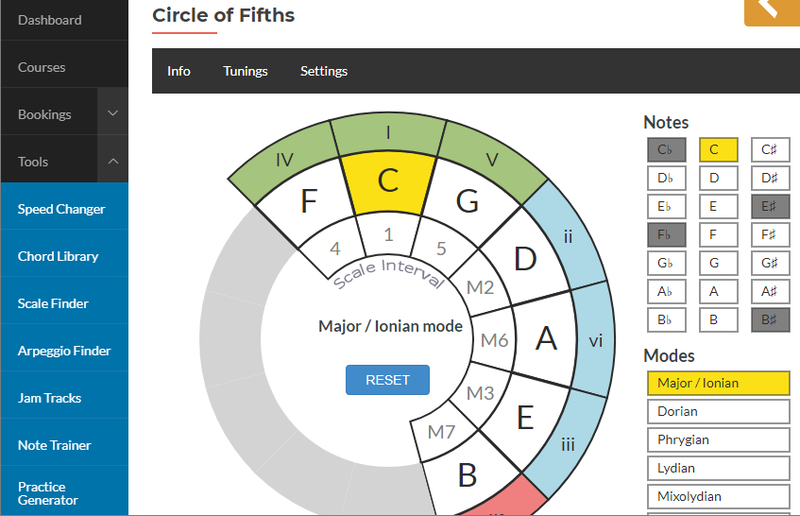 Circle of fifths - Interactive tool to help find chords in a key and the matching scales. 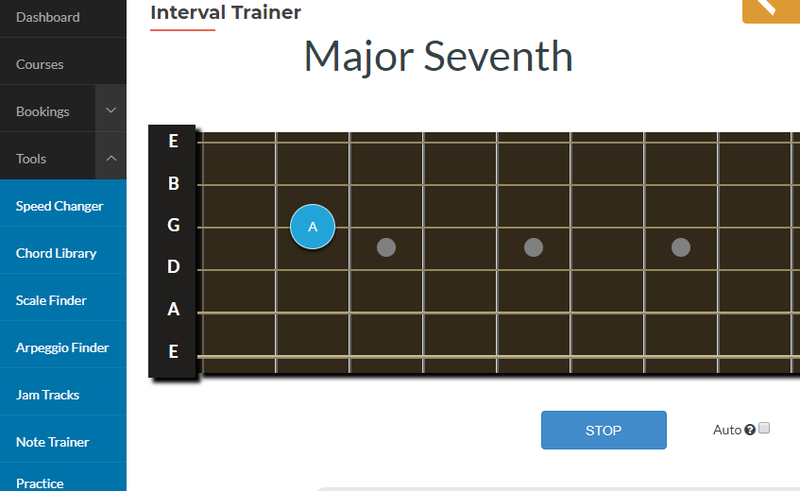 Interval Trainer - practice recognising guitar intervals and their relationships on the fretboard. 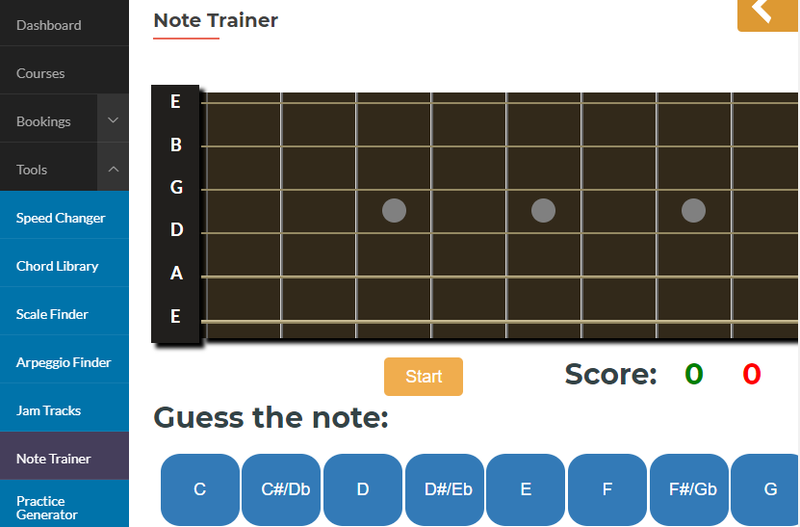 Note Trainer - learn the notes on the fretboard. 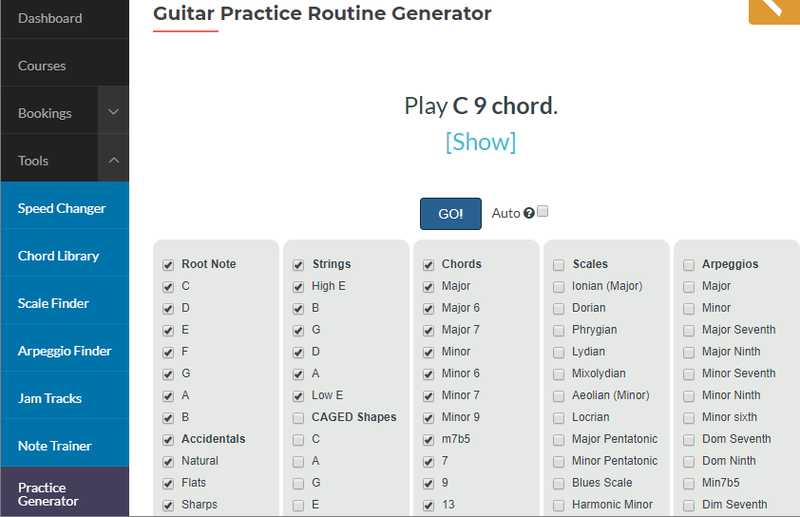 Practice Routine Generator - Pick an area you would like to practice and start the generator for ideas on what to practice. 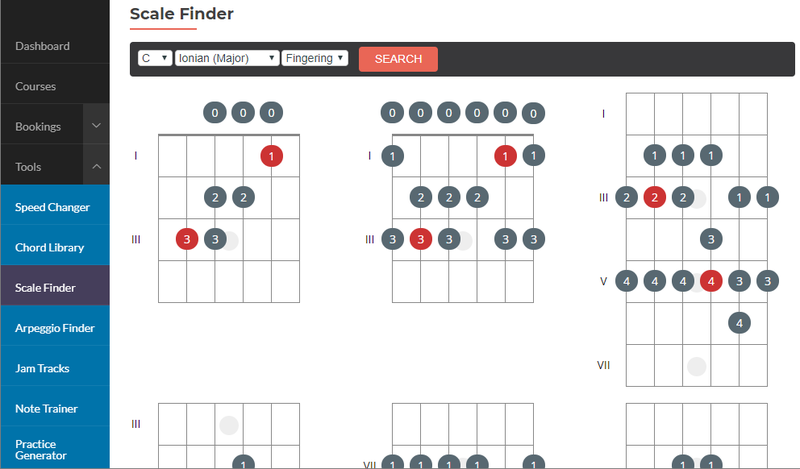 Scale Finder - find guitar scales and their various shapes across the fretboard.